Facebook’s brain-computer interface projects at Building 8 have been put to a halt. The team is currently focusing on smart devices like Portal and augmented reality/virtual reality technology. It is unknown if the social media company will go back to its brain-computer interface project in the future. Earlier this year, Facebook revealed that its ‘Building 8’ team is working on brain-computer interfaces which may allow users to turn their thoughts into text. However, it seems like the social media company wants to shift its focus towards its new Portal hardware lineup and augmented reality instead. The brain-computer interface project has been realized by BrainGate 2 to some extent, but instead of offering a fully automated communication method for disabled individuals, it allows users to type on a virtual keyboard instead. What sounded like a bold move is now taking a backseat with Facebook’s other projects being prioritized more. Building 8 was initially thought to have been disbanded, but the rumors were put aside by Andrew “Boz” Bosworth who is in charge of augmented reality and virtual reality at Facebook. This is misleading. We renamed the Building 8 team Portal after that device launch. The research we initially started in Building 8 continues in our Facebook Reality Labs research group. The social media company’s focus on Portal suffered a setback even before the hardware was launched with a number of security incidents and Facebook’s failure as a whole to control fake news, misinformation and political interference on its platform. It is unknown if Facebook’s dreams of pulling off a Google X will produce legitimate results. Unlike the failed Building 8 project, Google has been able to produce legitimate results including its self-driving car and much more. Google’s parent company Alphabet has found reasonable success with its experimental technology after some restructuring and initial failures. Some of the successful ventures from the company include Project Wing and Access. It is possible that Facebook will return towards making a brain-computer interface through a device that will be capable of “reading” your thoughts and turning them to text. 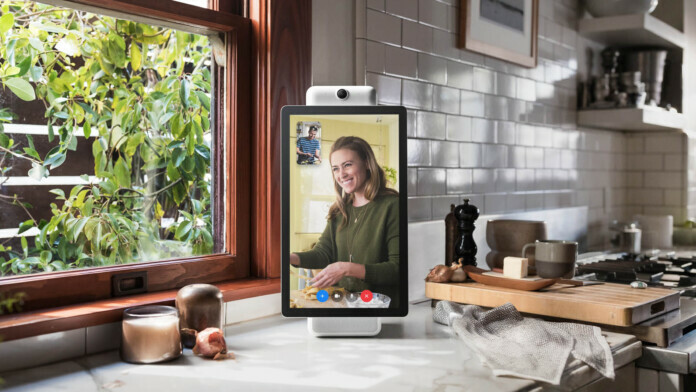 However, the company is better off focusing on more realistic ventures like the Portal smart display which launched recently. The company’s acquisition of the Oculus VR venture is yet to produce any real results while companies like Microsoft have developed full-fledged military grade AR headsets for the US government. What do you think about Facebook restructuring Building 8 to focus on other projects? Let us know in the comments below. Also, to get instant tech updates, follow TechNadu’s Facebook page, and Twitter handle.